A unique product with every accessory. The Limited Editions are made in small lots (25 units a year) and exclusive colors (gold, green, fuchsia, orange, blue,...). A special product for those that wish to enjoy a fashionable portable vaporizer. 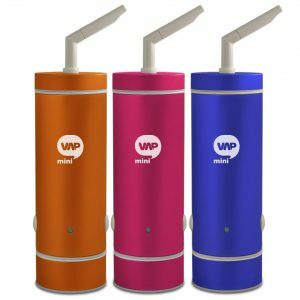 MiniVAP has designed and manufactured simple and easy to use portable vaporizers since 2008, focused on health care and the responsible vaporization of plants. Compact, portable, efficient and easy to use. 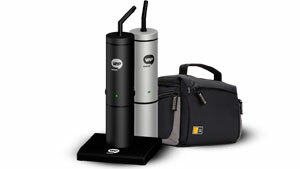 MiniVAP is a portable system to vaporize: The vaporization occurs only when the user inhales by convection heating. The main advantage of the MiniVAP is that it keeps the taste and aroma, maintaining purity and original properties. MiniVAP uses convection heating that only cooks your herbs when you inhale. The hot airflow vaporizes the active ingredients with all the taste and aromas of the plant. Pay attention to what you can and can’t see. The outer shell is made of a thick (1.5mm) anodized aluminum tube that protects against abuse and falls. Inside, the heating cores and electronics are tested to increase the useful life, even in the harshest conditions. The Minivap’s internal materials are all food grade, and are chosen based on durability and their resistance to heat. We offer clean and healthy portable vaporizers. Your safety is important to MiniVAP. Our vaporizers are tested in external laboratories in accordance with European Directives. Minivap parts are sourced from all over the world. Nevertheless, we try to work with providers that are as close as possible to us, helping the local economy and ensuring the best quality. MiniVAP products are designed for simplicity, with intuitive and easy-to-use controls, from your first use to regular maintenance, for a unique and pleasant experience. MiniVAP is a portable vaporizer with rechargeable Lithium batteries. Our own patented technology heats up by convection. The extraction of the active ingredients and essential oils only occurs when the user inhales, keeping the organoleptic properties for a long time without ‘cooking’ the herbs. It was developed by Hermes Medical Engineering in 2009. Since that date, the company has done continuous research and development for new models, such as the MV Glass core, or new accessories to increase the functionality like the MV Decarboxilaton kit..
Read the latest news about our products and the keys to know more about vaporizers and how they work. You can also know the events where we participate on. These are testimonials from our clients, we would be happy to put yours' as well. Please write us an e-mail and we'll make sure you get to the front page. 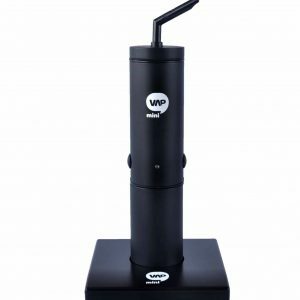 I learned about miniVAP at a congress and from the moment I decided to give it a try, I haven't stopped using it for my pain therapy. The fact that it's portable, lets me use it wherever I want. I saw Jorge's presentation of MiiVAP at Cannabmed's and I became interested in the convection process that this vaporizer uses. It is one of the few portable vaporizers that offers control over what you vaporize, whilst maintaining the aromas of the plant. MiniVAP develops and manufactures its own products, from early research to sales, looking for the simplest and easiest route to good health care. We invest in research and education about the use and administration of active ingredients in vaporization. 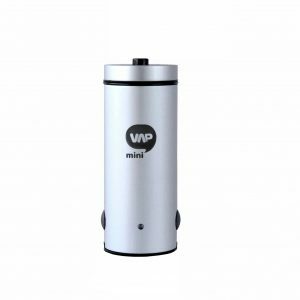 If you want a durable and safe vaporizer that also takes care of your health and the environment, the MiniVAP portable vaporizers are the best option. Get healthy and clean inside, and help the environment outside.